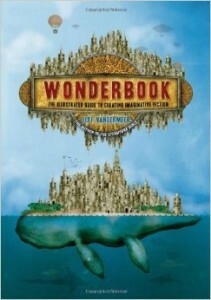 Refill Your Creative Well with "Wonderbook"
Wonderbook by Jeff VanderMeer: a beautiful, practical, and inspirational gem of a book. Find your creative well coming up dry? Wonderbook: The Illustrated Guide to Creating Imaginative Fiction by Jeff VanderMeer provides solid, practical tips on storytelling while also reinvigorating your writing self. 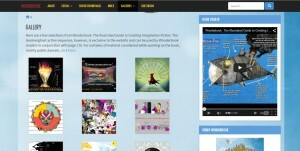 Wonderbook is one of the most beautiful and useful books on writing I’ve ever seen. The guide is separated by different aspects of the storywriting process, including inspiration and creativity, worldbuilding, and how to start and end your story. Each chapter is accompanied by interviews with writers and writing exercises to help you improve your craft. Nearly every page is accompanied by diagrams or illustrations, visual aids for bringing the tips to life. Characters in the pages’ sidebars direct you to additional content on the book’s website, WonderbookNow.com. The site has plenty of exercises, interviews with authors, and additional content that didn’t make it into the book. You”ll also find a gallery sampling some of the beautiful artwork from Wonderbook and early sketches from the book’s development. VanderMeer’s Wonderbook is, without a doubt, one of my favorite books on writing. It’s the kind of book that you can pick up again and again and find something useful or inspiring that you might have previously missed. Highly recommended for any author looking for practical inspiration.